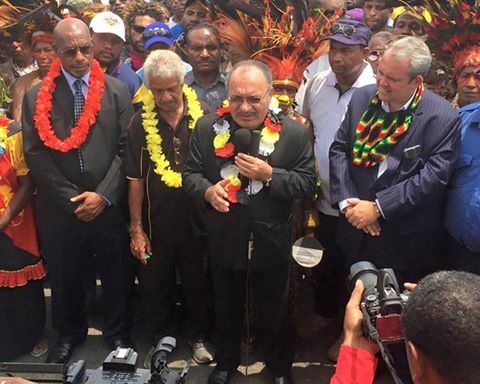 In his Christmas message to the people of PNG, Prime Minister Peter O’Neill said Papua New Guinea as a country was able to pull through in 2015 amid the economic difficulties faced globally which affected the country’s revenue. He said these economic hardships did not stop the government from delivering basic services such as free education, free health care, law and order, and building important infrastructure around the country which has brought about change. PM O'Neill said 2016 will be more challenging but with more corporation from all sectors will ensure the government’s programs are delivered in time.